If your existing method doesn’t work flawlessly—don't worry. You're not alone. 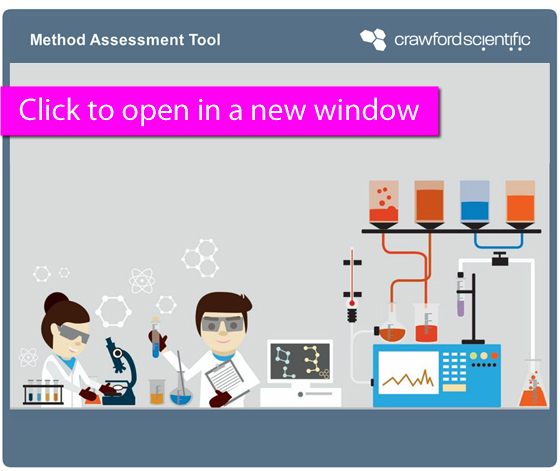 Just take our quick chromatography method optimisation assessment below to help you identify what’s going wrong. Then contact our technical team, who can help you iron out those poor chromatograms or put a stop to time-consuming reruns. If you want to look into entirely new methodology, we can help with that too. With our experience in all aspects of chromatographic methodology we are well placed to provide any advice you need on troubleshooting or improving an existing method. Be it GC, LC-MS or HPLC optimisation we can help you change method conditions and improve reliability. Using a more modern column to improve separation, sensitivity and runtimes—we have all the advice you need. If you are dealing with a lot of repeat analysis, you might want to understand exactly how much it might be costing your lab.